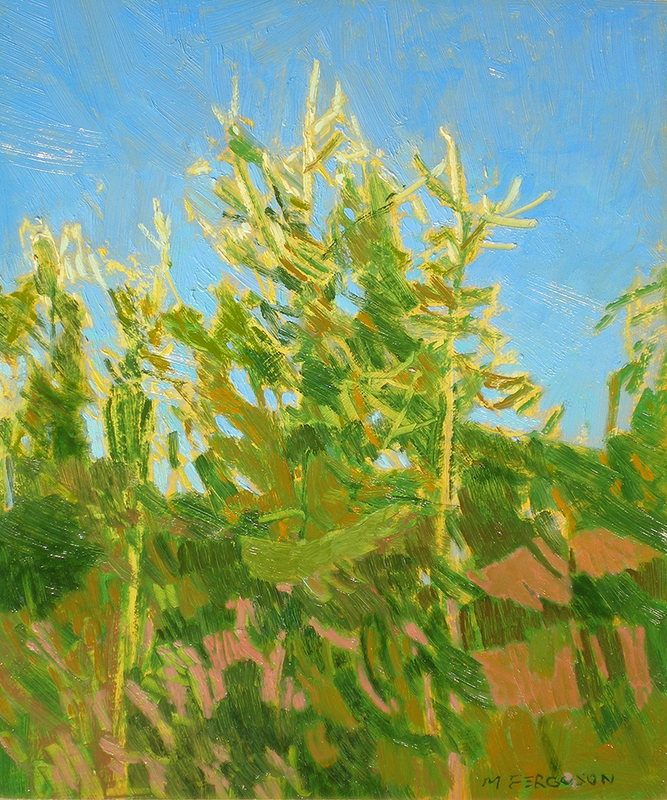 An exhibition of Michael Ferguson’s vibrant landscape paintings heralds the new year at Marcia Burtt Gallery. 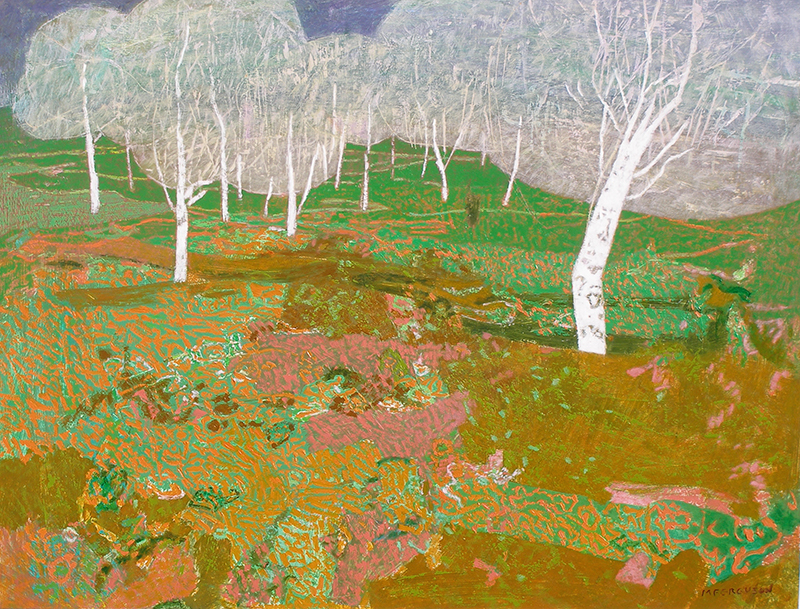 Pulsating with color, Ferguson’s work has an electric energy that illuminates our botanical world. The Washington State-based painter depicts the land, ocean, and flora of the Pacific Northwest with textured acrylic and oil. 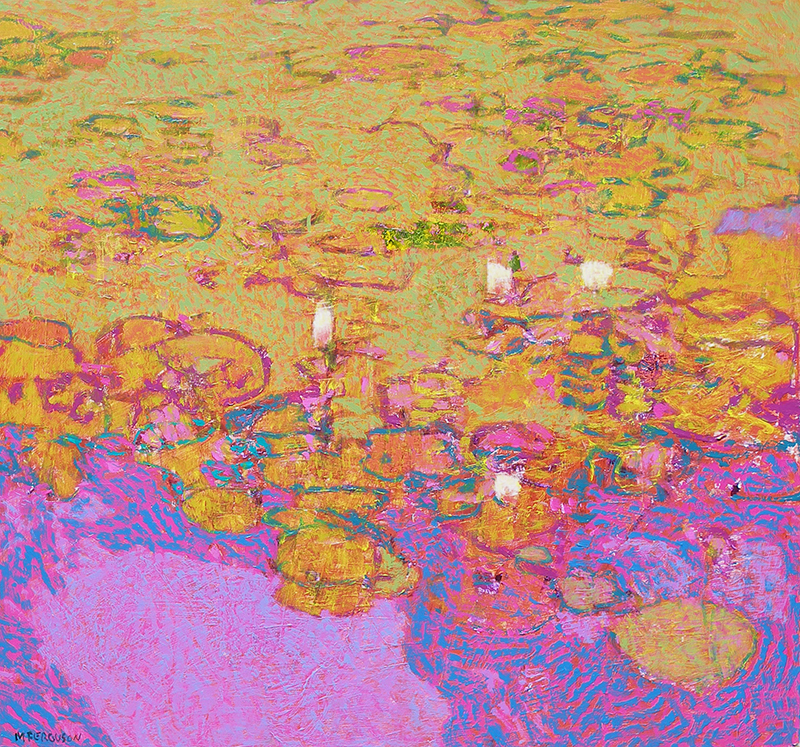 Layered colors form a speckled surface. Turquoise, magenta, and lime green strokes combine to create sea and sky. The result is a palpable atmosphere of light and color filtered through sun-drenched fog. Color clashes bring to life large floral works. Fuchsia irises pop against a chartreuse background. Pink orchids hover over blue speckles. Colors don’t blend—they battle to heighten the individuality of flowers and leaves. 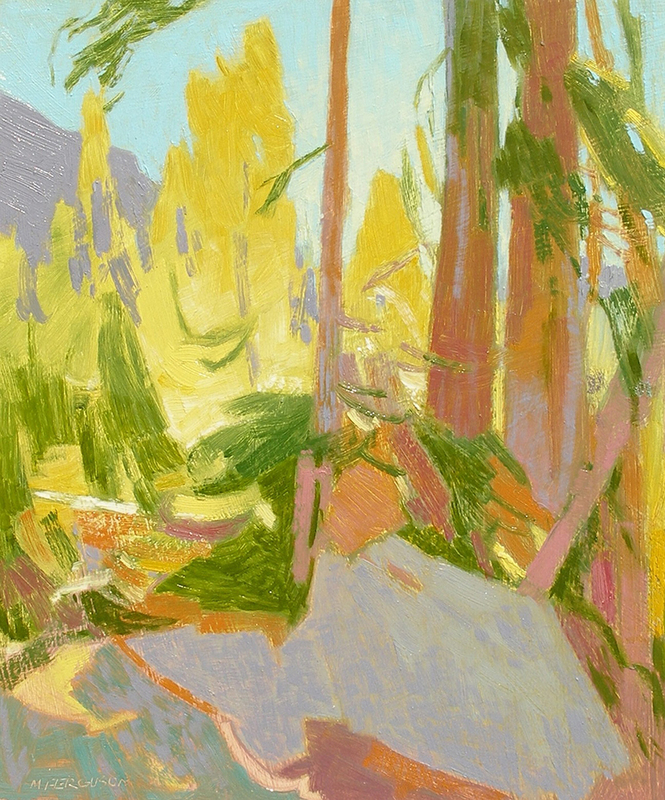 Roots of the large stylized paintings can be found in plein air studies that show Ferguson’s obsession with color and texture on a smaller scale. These sketches in oil and the larger studio acrylic paintings reflect a life spent observing the Northwest Coast and backcountry.